GP Dootalk Race Team | Goodwin Performance, Inc. – Snowmobiles, Snowcross, High Performance Clutches, Suspension, Service, and More! 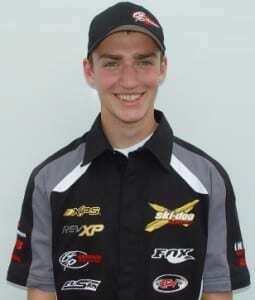 With a mere 2 months until the green flag drops at Duluth, the Goodwin/Dootalk Ski-Doo race team is in full prep mode. 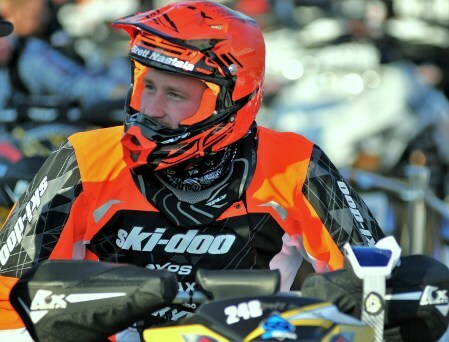 Our Pro-Lite rider #248 Brett Nastala has been training hard since his season ending injury at Dultuh last season. Brett is ready and confident to get on top of the podium for 2014/2015. Our other rider, Eddie Neubauer, who is also coming back from a season ending injury last year is ready to go. Eddie will once again piloting the #747 GP/American Metal Craft Ski-Doo in the Sport class for 2014/2015. Don’t forget about our Pro-Adaptive rider #333 Garrett Goodwin. With nothing but heart and determination on his sleeve, Garrett looks to add 1 more medal to his X-Games collection. GOLD. Aboard his GP/ Goodwin Adaptive Action Sports/ Ski-Doo there is no holding him back. Stay tuned for updates throughout the Sno-X season on this young talented team.